MOUNTAIN SOLITAIRE | Brent Zundel’s collected writings and personal blog, with perspectives on the environment, politics, community, good beer, and international travel through a Montana lens. Brent Zundel’s collected writings and personal blog, with perspectives on the environment, politics, community, good beer, and international travel through a Montana lens. Two of the most interesting cultural experiences for me have always been how other nationalities party and how they protest. As it turns out, Chileans are very good at both. Within the past few weeks, I’ve had the opportunity to see both facets of Chile’s national character. I have tried to say yes to every new experience I can while in Chile, and here is where that led me. The idea behind the Jolgorio (literally “revelry” or “merrymaking”) is one of the most comically pragmatic I have heard. A massive party is organized on the UdeC campus with so many participants that the campus security guards are powerless to stop it. El Jolgorio, in the campus forum. I’ve heard conflicting ideas on whether regular Chilean police (carabineros) are allowed to enter campus without permission, but I believe the Chancellor’s office has to give them some sort of permission first. With no police presence and a relatively small contingent of security guards, students drink, dance, and smoke with impunity all across the campus forum. My first day at the university, I saw young students walking around half-dressed, without shoes, and covered in various colors of paint, flour, and other interesting-smelling liquids, so I asked the Chileans in my lab what was going on. El Cajón del Maipo, outside of Santiago. A post titled “Patience and Luck” seems to accurately sum up my Fulbright experience so far. Almost two weeks into my stay, I finally have a bit more time to think and reflect, rather than worrying about making my next flight or trying to figure out the best store to buy bed sheets. I had planned to arrive in Santiago at 10 a.m. Wednesday in time for our 2 p.m. Fulbright orientation, but, thanks to some mechanical delays on my United flight, I spent a very short night in Houston and arrived just before midnight, after rescheduled flights and a layover in Panama City. Paciencia. The iconic clock tower housing Big Ben in London. Study abroad guides and similar publications suggest that culture shock can often be worse in countries like the UK, Australia, or other English-speaking countries. Americans expect them to be similar to home because they share a common language. I’m not ready to agree that the culture shock is worse, but it can often be more jarring, sneaking up out of nowhere to thump you on the head, simply because you aren’t expecting it to. A view of Oxford from the Magdalen College Tower. Thinkers from George Bernard Shaw to Oscar Wilde have mused that the United States and the United Kingdom are two nations divided by a common language. Exploring some of the myriad differences between these two ostensibly similar countries elicits laughs on either side of the Atlantic, and the differences are something I’ve come to appreciate more and more as Amanda and I spend time in Oxford. It’s the language, innit, mate? 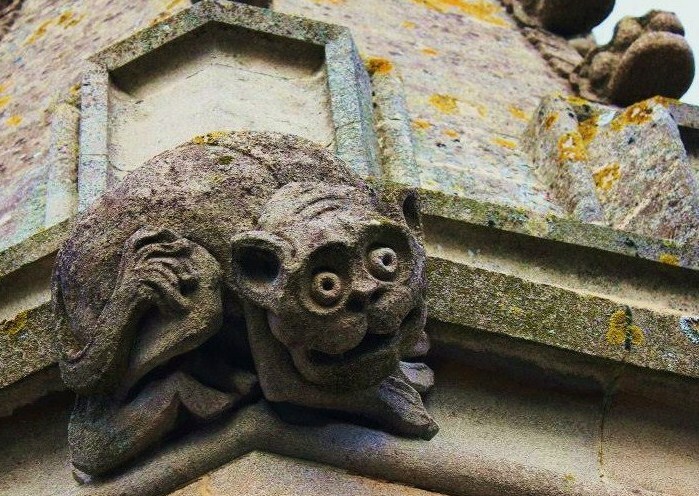 My general expression when confronted with strange English words and pronunciation. The differences in language are sometimes very small, sometimes wildly different, and usually enough to make me feel like an American rube. Buckingham Palace, where the Queen runs the country using a panel of buttons and levers. When Amanda and I first landed in London in October, I steeled myself to face the notoriously strict UK Border Agency, but even after preparing myself, the experience left me mildly traumatized. The immigration official asked me more probing questions than most job and scholarship interviews I’ve completed, delving into what felt like an inexhaustible list of topics. 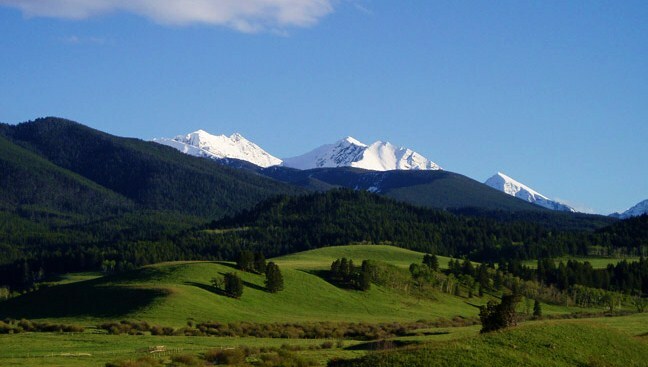 The shining mountains and rolling green hills at Turner’s Flying D Ranch, located just south of Bozeman, Montana. Photo courtesy Turner Enterprises. 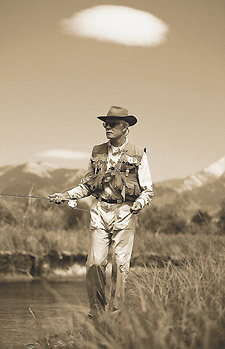 Ted Turner fishes a stream flowing through his property. Photo courtesy Kurt Markus, Outside Magazine. Everyone from United Nations admirers to global environmentalists lauds Ted Turner as a hero. “Last Stand,” Bozeman-based author Todd Wilkinson’s in-depth biography, subtitled “Ted Turner’s Quest to Save a Troubled Planet,” purports to delve into this “fascinating and flawed” man, but the result is more adoring prose than objective journalism. Apart from recycling tired and easily brushed-aside criticisms of Turner’s brash “Mouth of the South” style and Montanans’ initial annoyances with him, Wilkinson’s biography does not delve deeply into Turner’s interactions with and impact on the people living in this state. If you have a topic you’d like to see Mr. Zundel address in Mountain Solitaire; if you’d like to hire Mr. Zundel for freelance writing, reporting, editing, or photography; or if you would like to inquire about using written material and images from this website, please contact Mr. Zundel using the form on the "Contact" page, accessible from the main menu.